Insights and thoughts from our Partner Markus Kramer on core branding principles with broad applicability for any marketer, communications professional or business leader. Views are subjective and our own. July 10th, 2018. © Brand Affairs AG. 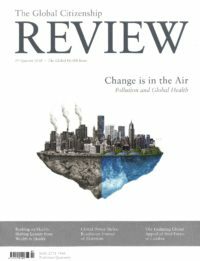 An increasing ride of global social activism against corruption, sexual violence, and other social ills means individuals of influence are under greater scrutiny than ever, and allegations and/or evidence thereof, despite their veracity, may have a long-lasting impact on one’s reputation. Only a minority of wealthy individuals are actually ready to take orchestrated action should their reputation be put at stake, let alone have a proactiv e plan in place to nurture and build a positive reputation for themselves. This makes for a worrying thought. Just think of the recent Paradise Papers scandal, in which some 13.4 million confidential electronic documents were leaked. At 1.4 TB in size, this is second only to the Panama Papers in 2016 as the biggest data leak in history. In terms of reputational threats then, this should ring alarm bells for anyone of influence. The speed and complexity by which public opinion shapes is accelerating, and whereas you might well live, work, and act with absolute integrity in all you do, public opinion may follow a different pattern, unfortunately. For the public at large, perception is reality unless proven otherwise. The point to recognize here is that when public opinion puts a spotlight on you, time is never on your side. When the reputation management light goes on (rightly or wrongly), the biggest reputational threat for high profile individuals is an exponential decrease in – or even permanent – loss of trust. Trying to calm a storm single-handedly is a bad strategy, and trying to run from the storm is potentially a worse one. Passive reputation management offers several options to help safeguard or protect your reputation when things get out of kilter. For instance, a reputational risk evaluation matrix can help you to determine quickly when to intervene and to what level the situation warrants the deployment of resources ranging from handling critical media inquiries to contracting legal services to ask for outright removal of damaging coverage. The digital dissemination of content bears the risk of propelling potentially defamatory stories at the speed of light, but the upside is that you can take active control of understanding what is being said at any time. A multitude of clever ‘listening tools’ exist to monitor your reputation. As a general rule of thumb, the positive content in relation to your brand should outweigh anything negative by a factor of at least 2:1. The nascent discipline of online reputation management caters for this, counterbalancing negative coverage with positive content if, when, and where needed – though not without its risks. However, it is a far better strategy to actively manage a positive reputation on an ongoing basis in the first instance. A strong personal brand strengthens your position and helps protect your reputation in turbulent times. Creating a strong personal brand is not an act of magic. Applying the same underpinning, tried and tested principles that help successful companies to define, refine, position, and communicate their powerful brands works for individuals just as well. What builds and protects a strong personal brand are beliefs and clearly articulated points of view. Ideally, these need to be based on universal values or a position on a social issue rather than outright partisanship. In other words, reputation is more important than reputationism. As an influential citizen, you will need to go beyond having an opinion and begin to carry a Weltanschauung so that audiences are able to see the world through your eyes. How do you assess the world and make sense of it? What is your personal philosophy? What do you value and why? What is your higher purpose in life? These are big questions that should not be answered lightly; nor should your answers be broadly communicated without a sound strategy and the means to follow through in place. Some of the best practices in personal reputation management include personal brand journalism with niche targeting, the thoughtful brand as a digital publisher focusing on earning or strengthening trust rather than boosting fame. In an executive’s value system, reputation needs to be prioritized over any potential short-term gain. The audience will be loyal to the individual if the individual is loyal to his/her brand over the long run. This implies that any type of communication (in particular within the digital realm, from a simple blog to the fast-paced content streams in social media) needs to be ‘on-brand’ – consistently and over time. Becoming an icon with a real philosophy rather than a digital media celebrity renders your personal brand credible and trustworthy. Two names to cite here for illustration are Sir Richard Branson and Elon Musk. Their personal brands are ‘out there’, authentic, and real. Being original and sincere has always been effective, but it is particularly successful in an era of fake news and constant media clutter. A personal brand is also distinctively human and quite forgiving when required. Over the years, South African-born Canadian American businessman Elon Musk has built a credible brand largely based on his passion for and appreciation of the environment, science, and technology. Musk is the Founder of Tesla, an electric vehicles manufacturer, and SpaceX, an aerospace manufacturer and space transportation services company. It’s essential to acknowledge that the very value of reputation in the eyes of stakeholders lies in how it functions as a warranty to hold onto if anything goes wrong. The active management of your own reputation is that one reliable source of trust.